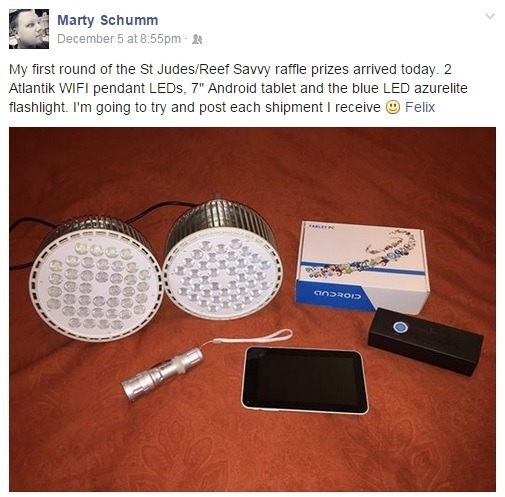 Congratulations to Marty who won the Reef Savvy St. Jude’s GIVE THANKS A WALK raffle. Marty won a killer setup and got to help some kids along the way. What could be better? Marty’s Orphek Atlantik Pendants were the first of many more prizes to arrive at his house. We can’t wait to see them in use soon. Felix from Reef Savvy and all the participants in the raffle raised nearly 40k. WOW!!!!!! !